Ebola Survivor Corps, Doctors Without Borders-Medecins Sans Frontieres (MSF), the UWSMPH Infectious Disease Interest Group and WUD Film present Affliction, a powerful MSF documentary about the devastating effects of the 2014 Ebola epidemic from West Africa to Madison. 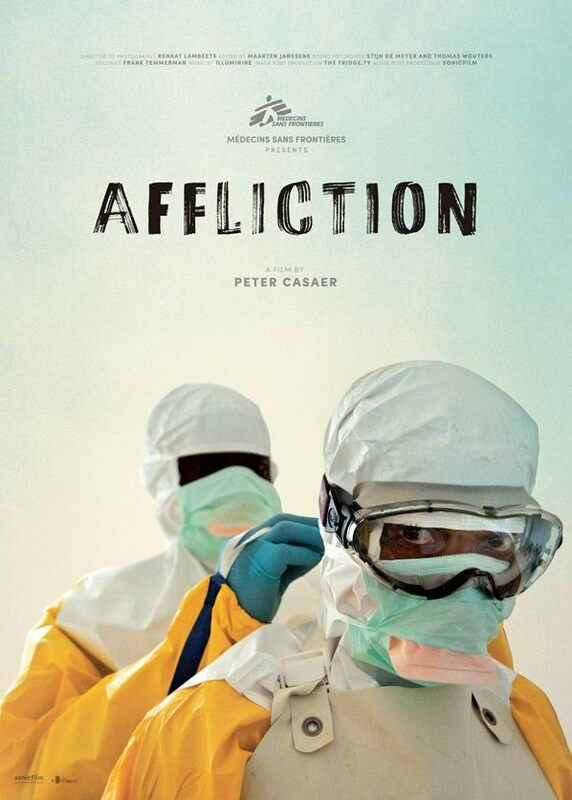 Shot in Liberia, Sierra Leone and Guinea, Affliction provides an intimate look at the impact of the Ebola outbreak on the lives of individuals. Starting in the remote village where the first victim was identified, the film takes us through the three affected countries, Guinea, Liberia, and Sierra Leone. Through a series of interconnected scenes, we explore different aspects of the outbreak as village chiefs, patients, survivors, and national and international aid workers talk about fear and rejection, the stigma, the impact of quarantine, the mortality of health personnel, the failure of the international response, and the lack of adequate medical treatment. Directed by Peter Casaer. Following the film will be a Q&A with two health care professionals that worked in West Africa during the crisis. The event is free and open to the public. RSVP here!